The magical aura of Iκaria can be found at Seychelles beach, with its unique and exotic beauty, and is a must-see place for anyone visiting this enchanting island! This beach’s best qualities are her transparent, green-blue waters, emerald-green landscape, white pebble-sand and steep rocks…they all blend together to create one unforgettable sight. Seychelles beach, which owes its name to its extraordinary beauty, is a result of massive landslides from the blasting and opening of the Manganite Tunnel. 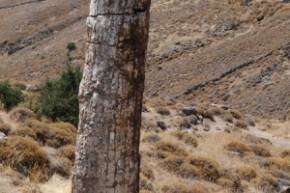 The beach is located approximately 25 km from Agios Kyrikos, hidden in a secluded cove, from the main road to the river. 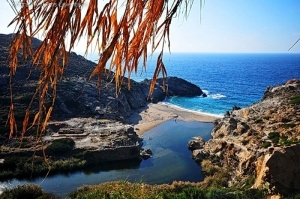 Here, you won’t find any facilities, amenities or public services, yet it charm attracts thousands each year and is among Ikaria’s most popular beaches. Be sure to bring sunscreen and bottled water. Seychelles beach is also beautiful at dusk, as the sun sets and nature’s shade provides some comfort and a cool place to relax. If the beach itself doesn’t provide you with enough isolation, then you must check out the small cave situated amongst the steep, seashore rocks, where you can admire the myriad of colors in the water.